Wound complications are still a challenging problem after major gastrointestinal operations. 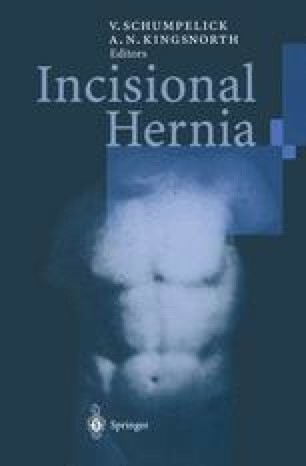 Prospective trials performed in recent years show burst abdomen rates of 1%–3%, wound infection rates of 10%–15% and incisional hernia rates of 4%–21% [1–9]. Burst abdomen is a complication associated with mortality rates of 10%–30%, high morbidity, and increased hospital stay and cost of treatment. In an effort to reduce the rate of this complication, many prospective randomized studies have been performed comparing different closure methods and suture materials [1–9]. with the incidence of burst abdomen that low, the problem with these studies is often the small number of patients included, leading to inconclusive results.